When you start advertising on the Internet, it’s obvious enough that you want to get results, regardless of how you choose to define a successful or not so successful campaign. And there are two critical factors that can aid in your journey to get results: flexibility and control. Without these, you are leaving the success of your campaign to chance. One ad network that aims to provide you with both flexibility and control is Clicksor. They claim to “deliver where it matters,” giving you the ability to target just the right ads for just “the right audience at the right time.” Let’s see how they work. With most ad networks, they may only focus on one or two different ad formats and they’ll oftentimes charge you using only one kind of cost metric. That’s not the case with Clicksor, because they want to give you added flexibility with more media offers. You’ll notice that there are five ad formats available through Clicksor: text ads, rich media banners, graphical banners, pop-unders and interstitial ads. You’ll also notice that there are a number of cost metrics available, including the more conventional cost per click (CPC) and cost per 1000 impressions (CPM), as well as cost per visit (CPV) and cost per interstitial (CPI). The minimum prices vary with each type of ad format and cost metric and you can see these minimum prices above. Of course, like other ad networks, you’ll be competing with other advertisers to get that advertising space, so you’ll need to place you bids accordingly. When you sign up as an advertiser with Clicksor, you are offered three different types of accounts. You can open a “Premium” account if you put a minimum deposit of $1000 or a “FullServe” account if you have a minimum deposit of $500. Otherwise, you can sign up for the “Standard” account. The two higher accounts provide a greater level of support with your campaigns, while the standard account is more of what you’d expect from a more conventional advertiser account. In all instances, you will be provided with access to the same advertiser dashboard. This is the “Advance” UI that most of you will likely use, but there is also a “Simple” dashboard if you want to make things easier. Even so, you’ll find that the “Advance” dashboard is really no more complex than what you may have encountered elsewhere. There are quick links on the left sidebar to create a new campaign and view your campaigns, for instance, while the main navigation is done with the links across the top of the page. You get an account summary on the right side of the main page too. There is a step-by-step wizard that walks you through the process of starting a new advertising campaign with Clicksor. The first page gets you to choose a targeting type, as well as the campaign type and minimum bid price. Most of us will use auto optimization, but more advanced users can override that. The ad creation step will vary with the campaign type, of course. If you’re doing a text banner, you’ll define the headline and the two lines of text, along with the destination URL. If you choose a rich media or graphical banner, you’ll upload the necessary files and code accordingly. Next, you’ll be able to do your geo-targeting. 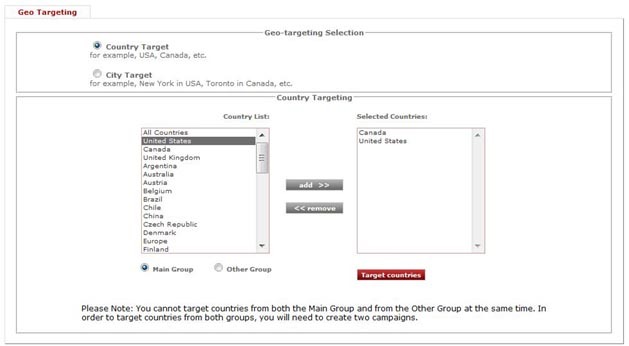 On a more basic level, you can target as few or as many countries as you’d like. The selection is quite varied. Alternatively, you can zero in even closer by targeting based on a specific city. This is great for local offers and local advertising. There is also a step to target based on keywords, including a keyword wizard that can bring up relevant keywords based on an initial search. You can then target based on day of the week and time of day too. You can get very specific with the kind of traffic that you’re trying to attract, which is an absoute plus. If you’re a little more open, you can leave it as open as you’d like too. You can even choose to focus only on the Clicksor network or to extend it to partner networks or both. You set your total budget, as well as a maximum daily spend if you’d like, and then your ad campaign is sent in for approval. This can take a couple days, but the ad goes live as soon as it gets out of pending. 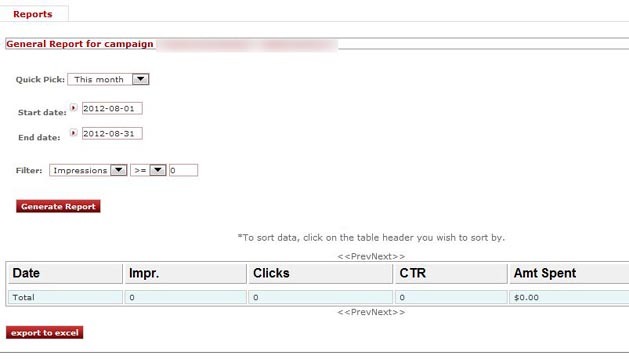 Clicksor offers a number of different reports so that you can keep an eye on how your campaigns are doing. You can of course add in your own tracking mechanisms to do that too, comparing the two to give you a fuller set of data. Here is a look at the general report, which is an overall look for each particular campaign over a particular period of time. This is “at a glance” information about the number of impressions, number of clicks, the CTR, and the amount of money spent. Using this, you can tweak and split-test your campaigns to optimize your success. You can very quickly see how split-testing based on geo-targeting, time-targeting, keyword targeting and so on can really help you work on getting just the right audience for just the right ad at just the right time. And that’s one of the biggest values with Clicksor. As with all other ad networks, your mileage will certainly vary when it comes to the performance of your ad campaigns with Clicksor. 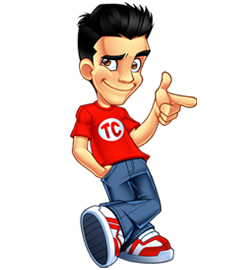 That said, the level of flexibility and control offered by this network certainly makes it a robust tool in your overall Internet marketing efforts. Indeed, if you take a quick look through some of the testimonials, you’ll see that such big companies as PartyPoker.com are using Clicksor, saying that Clicksor’s “account managers are highly efficient, and extermely conscious of immediate delivery on requests. It’s online advertising — made simple, easy and a pleasure to maintain.” Whether you can achieve that same level of success is entirely up to you. Do you have an ebook currently? I’ve tried Clicksor for a few days just to try them out and compare it to the contextual offering of Google Adsense. I just didn’t get the results I was looking for at the time, I didn’t earn nearly the same. However, I bet there are markets out there that this MAY do better so as with anything, you’ve gotta test! Clicksor looks pretty awesome… I like the dashboard. Have not used them for a long time. about 3 years ago I use Clicksor but the earning is bad .. I just didn’t get the results I was searching for at the time, I didn’t earn nearly identical. However, I bet there are markets out there that this MAY do better so as with anything, you’ve gotta test!